The ClipMic Digital delivers exceptional audio quality when paired with the iPhone, iPad or iPod touch. The Sennheiser ME-2 omni-directional capsule captures the sound source whilst screening out unwanted background noise and the high-resolution Apogee converter digitally transmits the sound via the Lightning connector with exceptional clarity. 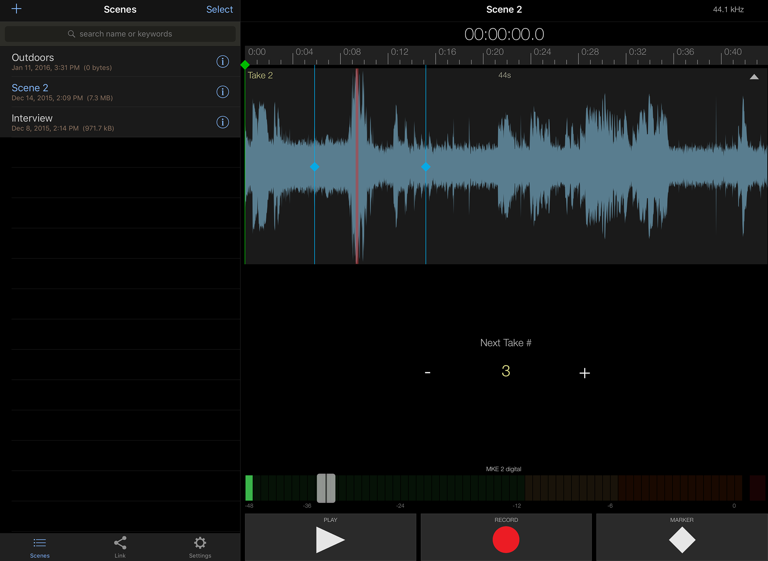 Made for the ClipMic Digital, the MetaRecorder app allows you to set the microphone level and activate a Rumble Reducer, Hiss Reducer and Overload Eliminator - you can even control it from your Apple Watch. 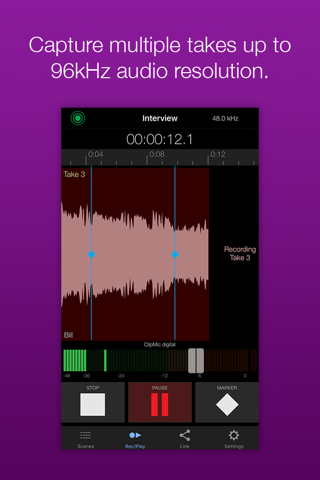 The MetaRecorder app allows the application of metadata tags to your audio files while recording. 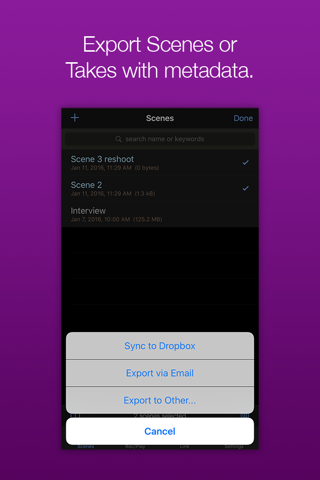 When these files are imported into iMove or Final Cut Pro on a Mac, the captured metadata simplifies the organisation and editing process in post-production. 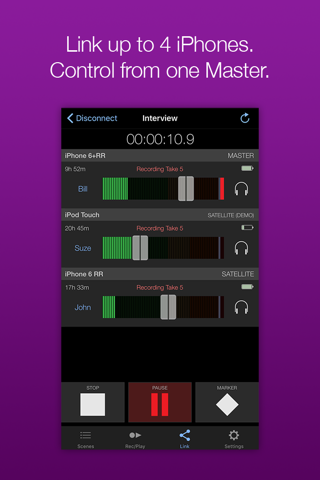 Ideal for anyone who wants a simple yet high-quality set-up to record Podcasts, presentations, interviews or meetings directly on their iOS device. Easily produce and share your videos on a blog or video chat with friends and family. Using the exceptional built-in-camera on your iPhone, iPad or iPod touch, simply connect ClipMic Digital to add incredible sound quality - creating the ultimate mobile video solution that's simple enough for anyone to use. We use five of these mics hooked up to iPod touches in our daily video production workflow. 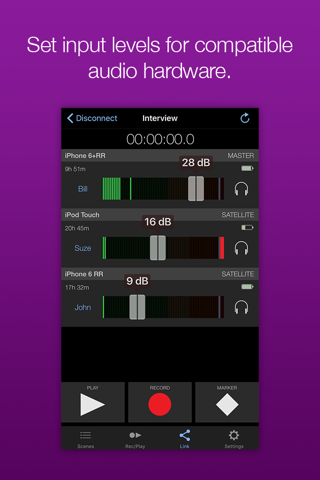 Using the free app, you can use any iOS device to remotely trigger r We use five of these mics hooked up to iPod touches in our daily video production workflow. 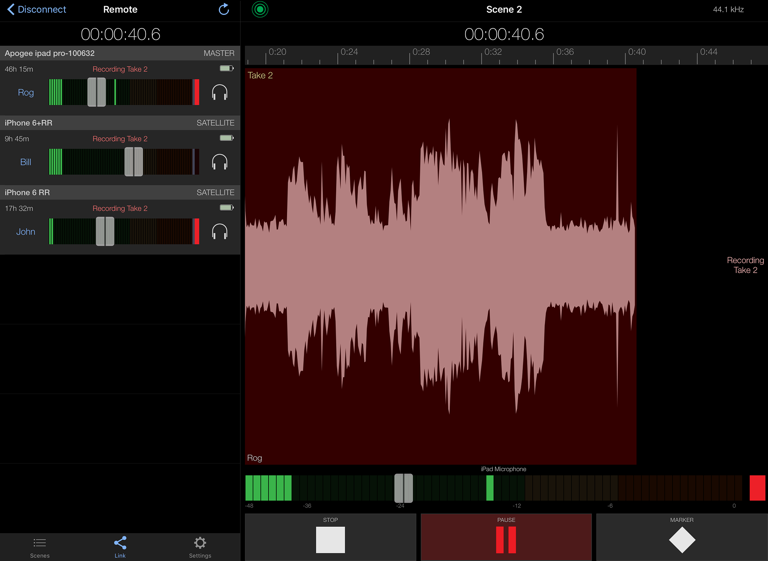 Using the free app, you can use any iOS device to remotely trigger recording/stops. 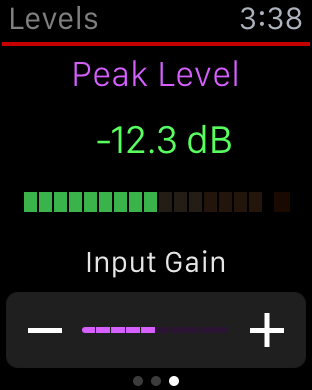 More importantly, you can both monitor and increase levels for multiple channels. The huge upside for us of these compared to wireless lavs are that there's zero radio interference (pops, hiss, crackle). You'll never have to tell everyone on set to "please turn all your cell phones to airplane mode" because of radio interference – the files record directly to each iOS device! The audio it produces sounds extremely pure with moderately robust waveforms. 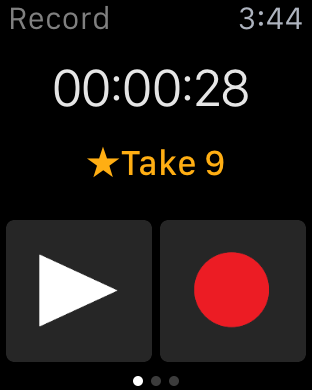 You'll need to pay an additional $15 or so in the app to unlock unlimited recording time, but believe me, in the long run it feels like it's free with all the time it'll save you from retakes and post production hiss-remove you no longer have to do. I love using Clip Mic because it allows me to record videos and interviews with just an iPhone. 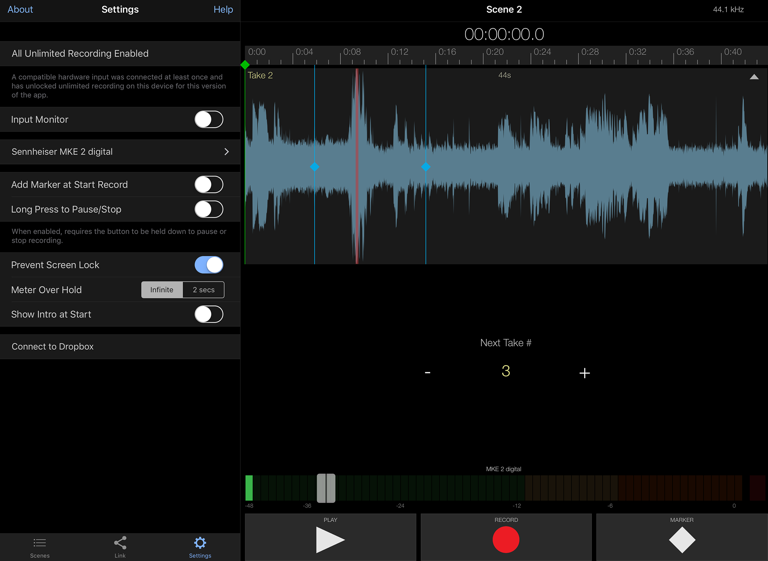 There's no hassle and you can use it with w Apogee Meta-Recorde I love using Clip Mic because it allows me to record videos and interviews with just an iPhone. 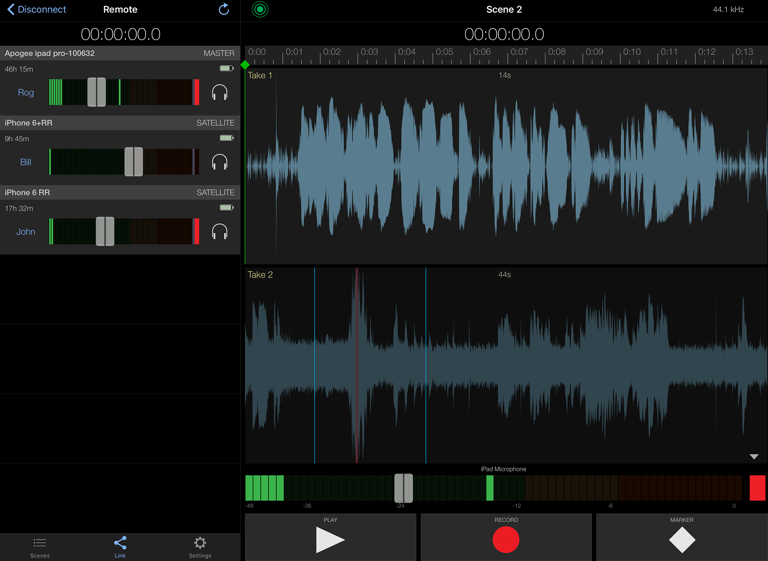 There's no hassle and you can use it with w Apogee Meta-Recorder App. 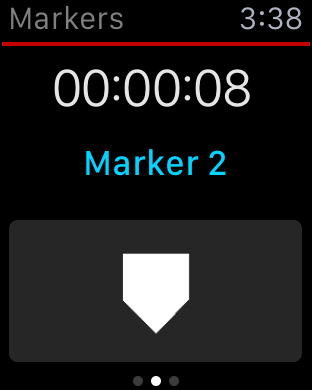 It even unlocks all the features of Meta-Recorder when you plug the ClipMic in. I was really surprised by the quality of the mic too, it provides every little detail while rejecting all the unnecessary sound around me. Is this review useful?I love Clip Mic! Can this microphone be used to make phone calls on the iPhone 6 plus and are there a compatible ear buds that works with it?